We are looking for people to help start an intentional community devoted to providing a context to live and deepen the spiritual life individually and collectively. 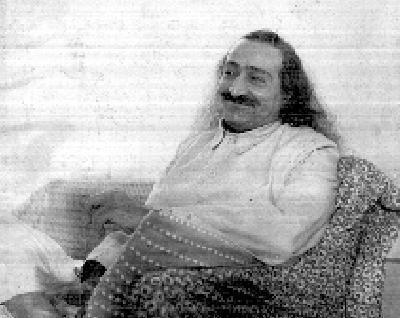 We desire to have a community which will explore manifesting Meher Baba's message of love and truth in all aspects of our lives. We seek to find God in our daily lives by attempting to understand the hearts of each other. Real sisters and brothers don't just hug each other and say Jai Baba; rather, they strive actively to understand each others' hearts and to work on behalf of each others' welfare. Only those who love Me in this way are doing my work. Unless you strive to understand each others' hearts in every aspect of your work for me, individually and collectively then; all the miles you have traveled to spread my name are zero, all the words spoken about me are about someone else, all the places built to contain Me and my lovers are empty places, and all the statues built of me are of someone else. The universe is my ashram, and I live in all hearts, but I manifest only in those hearts in which all other then Me ceases to live. We believe it to be high time that some of us get on with this aspect of Meher Baba's dispensation. We invite all who feel so inspired to communicate with us and or join with us in this noble undertaking. We envision this community existing on an organic farm with much craft and cottage industries. All the religions of the world speak about one father. I am that father come to remind his children that they should live together as one family until my grace awakens them to the one that knows no second. Our understanding of Avatar Meher Baba's universal work and struggles attendant therein, as well as the difficulties confronting any of His lovers who would dare to take up His divine Cause, individually or collectively, are contained within this poem by Ira Lions Shader, O Dancer Defiant. Please visit our bulletin board and chat room. We are listed with the Intentional Communities resource directory.